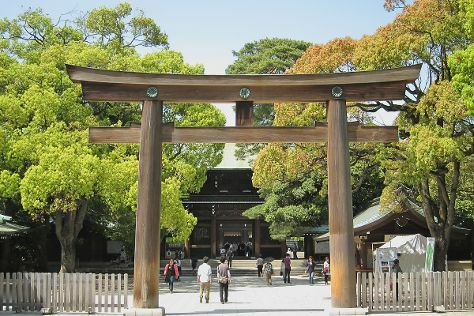 On the 4th (Tue), admire the natural beauty at Shinjuku Gyoen National Garden, ponder the world of politics at Tokyo Metropolitan Government Buildings, don't miss a visit to Meiji Jingu Shrine, then don't miss a visit to Shibuya Pedestrian Scramble, and finally don't miss a visit to Tokyo Tower. To find photos, ratings, more things to do, and more tourist information, refer to the Tokyo route builder tool . If you are flying in from Egypt, the closest major airports are Tokyo Haneda International Airport, Narita International Airport and Hyakuri Airport. In September, daytime highs in Tokyo are 32°C, while nighttime lows are 24°C. Finish your sightseeing early on the 4th (Tue) so you can travel back home.